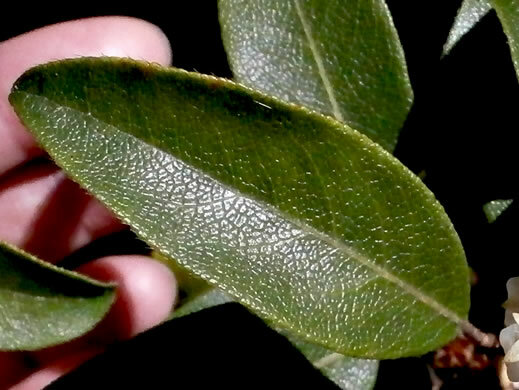 Leaves reticulate above; margins crenate; margins and petiole w black hairs, per Woody Plants of the Southeastern US: A Winter Guide. 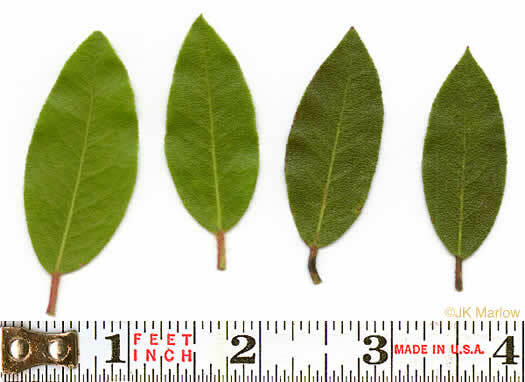 Calyx lobes acute, 2.5-3mm long, per Vascular Flora of the Carolinas. 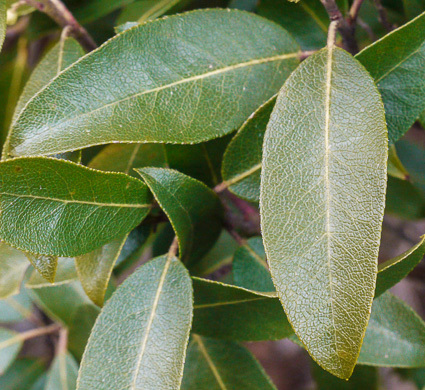 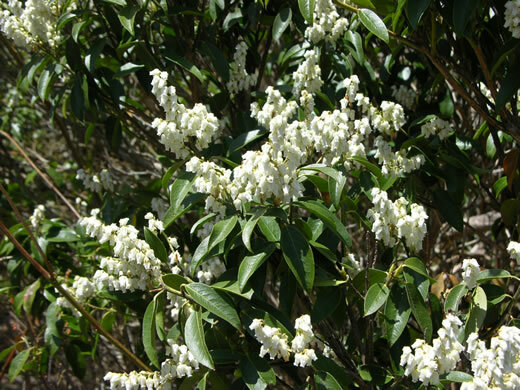 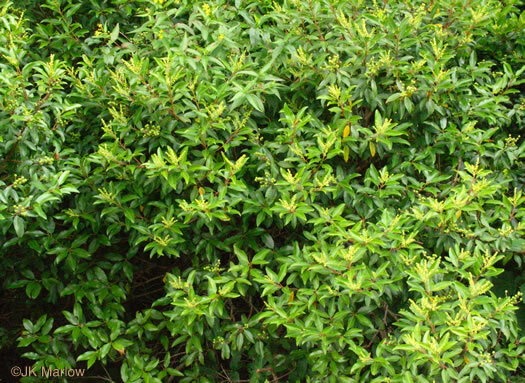 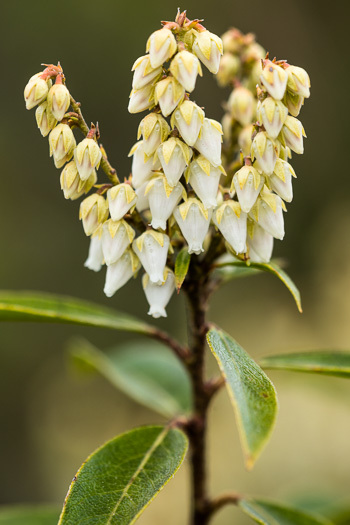 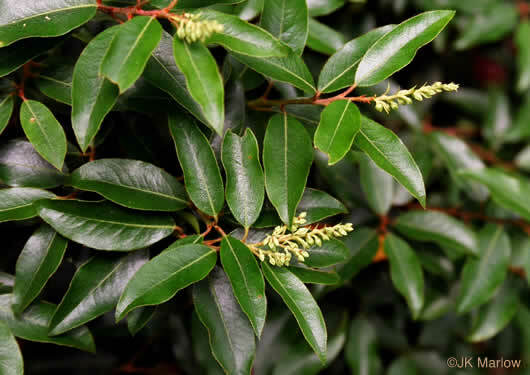 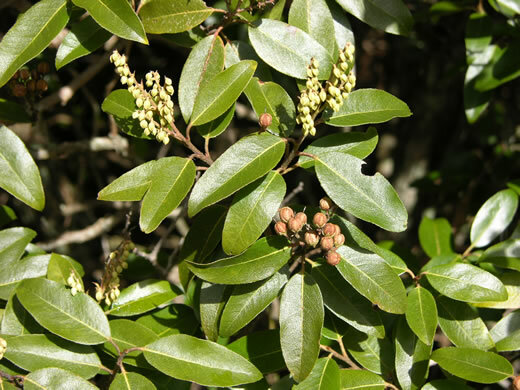 Leaves evergreen, finely toothed, rounded at base, per Woody Plants of the Blue Ridge. 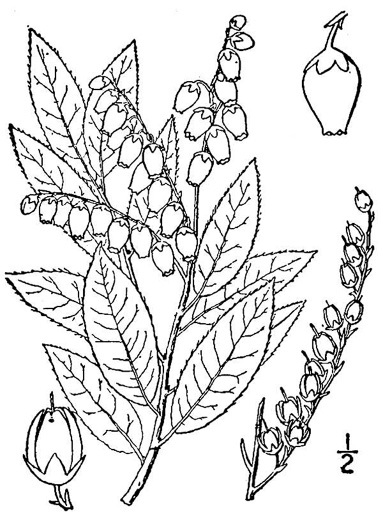 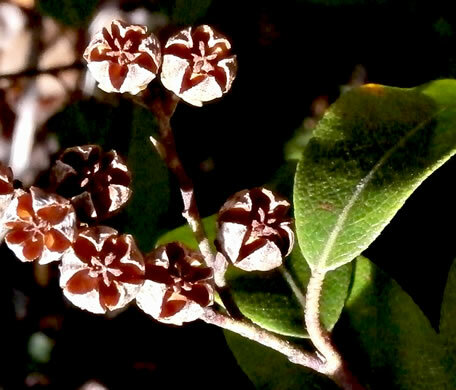 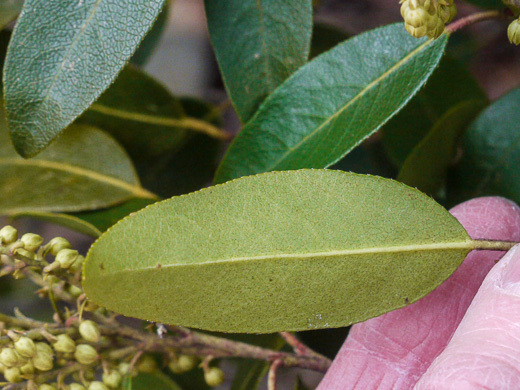 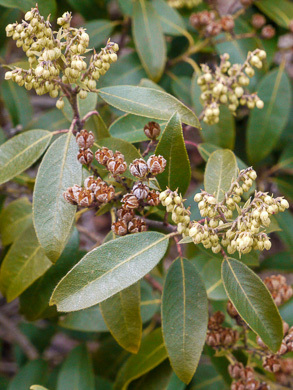 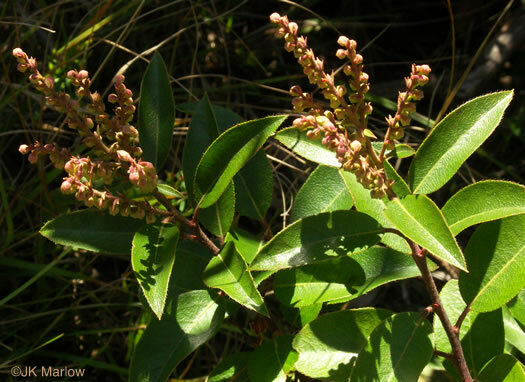 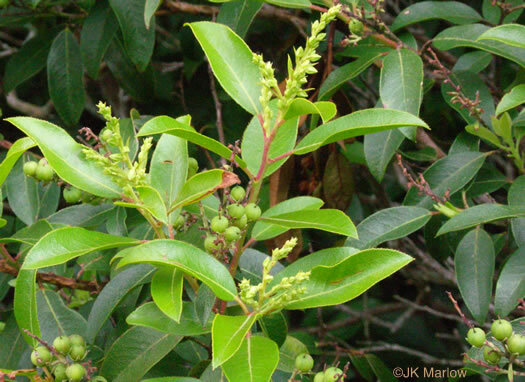 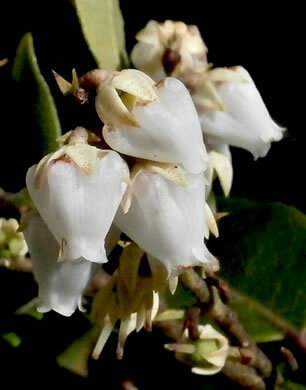 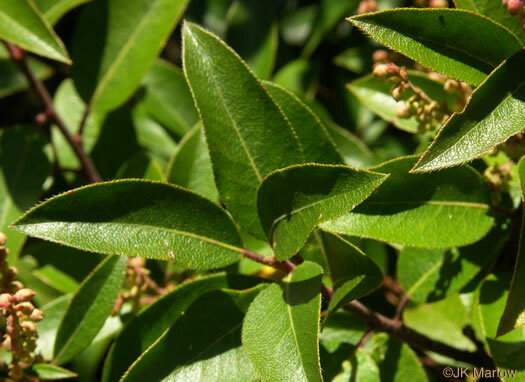 Capsules 5-locular, globose or oblate, 4-5mm long, per Vascular Flora of the Carolinas. 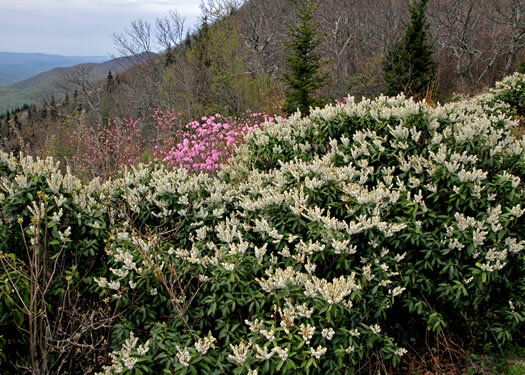 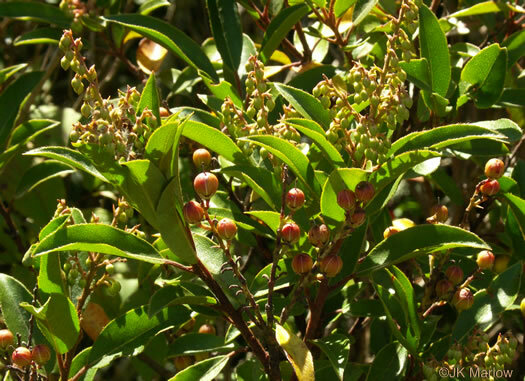 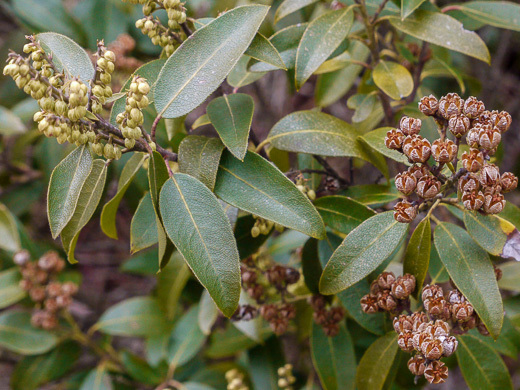 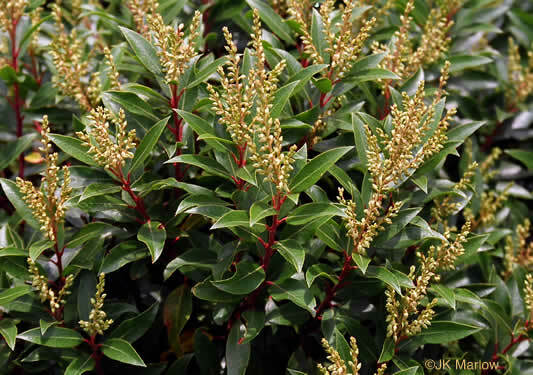 Flower buds stalked and clustered terminally, standing erect all winter, per Woody Plants of the Blue Ridge.